Okay so looking through the interwebz and I came across these 'Tips' & they made me laugh alot I just had to share these with all of you! 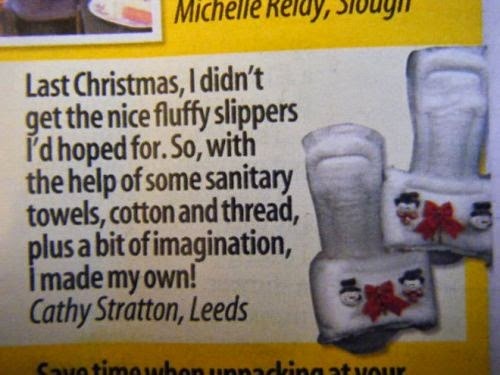 It seems womens mags like to use sanitary towels for everything!!! Tell me would you wear these? I suppose if you have a wet floor or sweaty feet they will soak it all up! 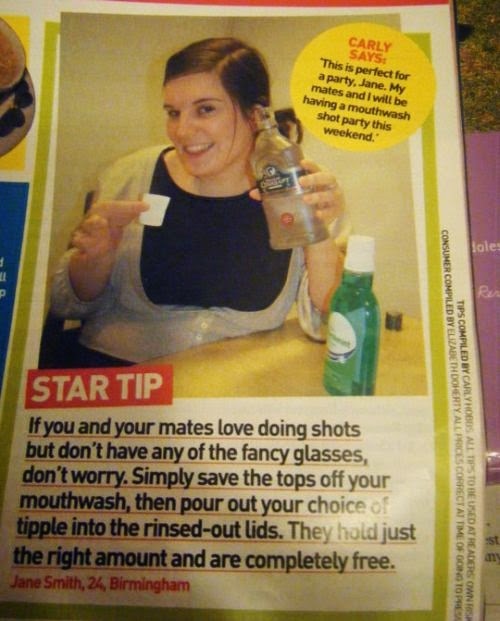 Okay this one is stupid who in their right mind would serve shots out of a mouth wash cap ? 1 if you can't afford shot glasses maybe you shouldn't be having a party! 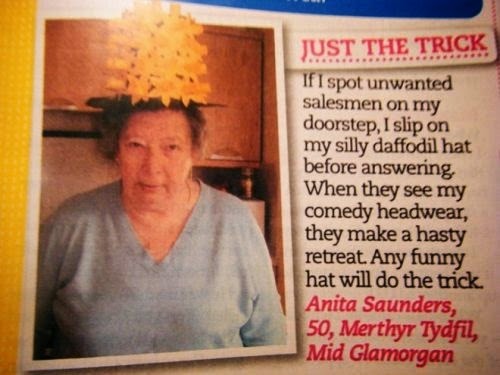 Tell me would you do this? Or this? 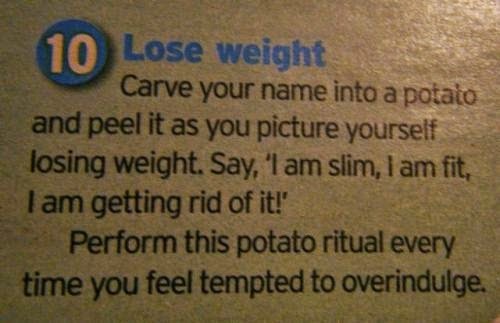 This is my favorite out of all the images I found & I may actually do this see if it works !! More crazy pics here, here, here, here, here & here!!! !